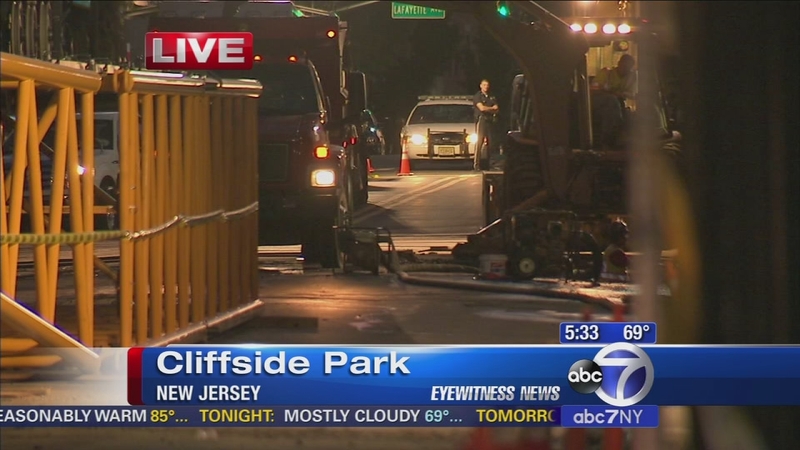 CLIFFSIDE, N.J. (WABC) -- A boil water advisory has been lifted after a massive construction crane fell from a support in New Jersey Wednesday morning, breaking a water main. The advisory was lifted by United Water for Cliffside Park, Englewood Cliffs and Fort Lee. The 600,000-pound crane was successfully removed from the road. The crane, which was being used as part of a redevelopment project, was being moved when it fell around 8 a.m. Wednesday at the corner of Anderson Avenue and Grant Avenue. United Water emergency crews were immediately dispatched, targeted the break and isolated the 24-inch water main within two hours. 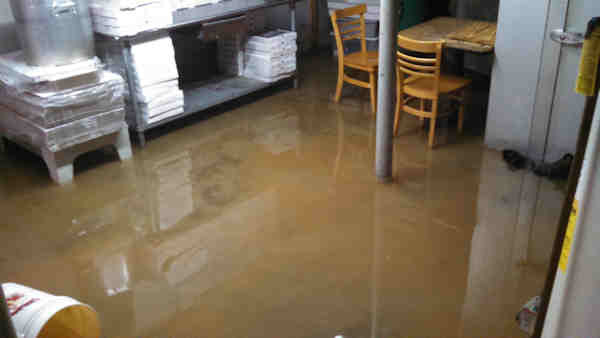 Some businesses and homes were flooded, exacerbating traffic issues that already existed in the area because of the construction. Water was shut off to hundreds of homes and businesses before the main was capped. United Water laid temporary lines to restore water service, but some were still having water problems in the area. Service to the remaining 36 customers without water is expected to be restored by 6 p.m. Thursday. OSHA and the DEP are investigating how the incident happened. The crane, which has the ability to stretch to 400 feet, is owned by a Brooklyn company.